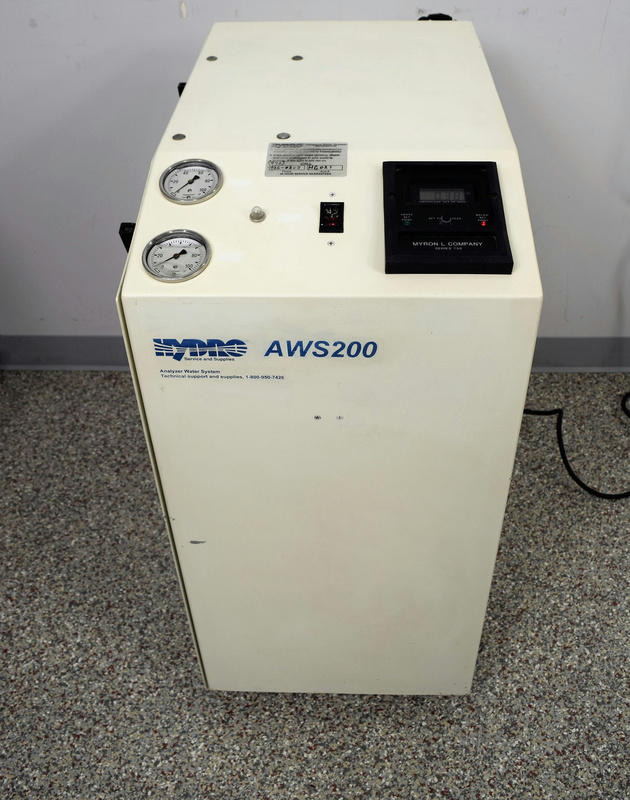 Hydro AWS200 Feed Water Ultrapure Membrane Filtration 50L Myron L Monitor . New Life Scientific, Inc. This system has a new tube, o-ring, and bulb. The instrument was tested and the tank filled with water and will include hosing to the back. "This system was originally developed to complement clinical diagnostic equipment that required a minimal feed of CAP Type I water. This is a portable system and completely self contained. Used in hospitals and clinics across the country."